If you’re going to work abroad temporarily, arranging for somewhere to stay, preferably somewhere which won’t be too much of a drain on your finances, will be among your highest priorities. The obvious and most convenient solution is a hotel, but staying in a hotel for long periods can prove expensive. It’s best to use a hotel only temporarily while you apprise yourself of other options. Depending on the length of your stay, however, and on the availability of alternative accommodation locally, a hotel can still sometimes seem like the best choice. If you will be in the country for 2-3 months, for example, it can sometimes be difficult to find a flat available for such a short period. In these cases, the hotel may seem like the least bad option open to you. If you find yourself in this situation, however, approach the hotel management and ask what kind of discounted rate they can offer you for an extended stay. You could even approach several hotels in the area and ask for quotes. Nearly all hotels have websites now so an email approach should be fine. In some cities, particularly those which are important business centres, you’ll find what are called apartment-hotels. These are much like conventional hotels except that the rooms are equipped with their own cooking facilities and are designed with longer-duration stays in mind. For this reason, their tariffs are usually substantially cheaper than those of conventional hotels and are sometimes available on a weekly or monthly, rather than daily, basis. You will also save quite a bit of money just by having the option to prepare your own food. Of course, the best option from both a cost and convenience perspective is to rent either a flat of your own or a room in a flat. Many lease agreements will specify a minimum term of six months or even a year. The best option, then, may be for you to sub-let a lease already taken out by someone else. Alternatively, you could take out a full lease and sub-let it to someone else if it still has time left to run after you leave. This can get complicated, though, if you don’t speak the language and won’t be around to oversee things after you leave. Sometimes large employers will be able to arrange post-departure sub-lets for you. Before you arrive, the web is usually your best resource. Hotels have their own websites and there are several good sites with comprehensive hotel listings which let you compare prices and book directly online. Expatriate communities are also a good place to get information about available accommodation. Many now have an online presence, with a dedicated forum where you can see rental offers or just get tips from the battle-hardened expats who’ve been living in the locale for some time. Websites containing classified ads are a good place to look for information. Craiglist is the best known internationally. A large number of its adverts are in English, even in non-English-speaking countries, so it is a good way to hook up with a landlord who will understand you. The student section of the local university website will often also have good information about where to find cheap accommodation. Once you arrive in the country, your options broaden. Asking your employer or fellow workers is a good first step. Often they will know about someone who is moving soon, leaving a property vacant. 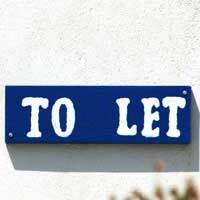 With a word in the ear of the landlord, you can often secure the tenancy before it is advertised publicly. Local expatriate communities are also a good place to ask around. These you will need to hook up with physically, of course. Often, you will find, they centre on a British or Irish pub. Finding accommodation you can feel comfortable in, at a price you can afford, will often be the determining factor in whether your experience of working abroad is an enjoyable one or not. As you can see, there are many resources available to help you make the right choice.